FREE eBook! Your Instant Access! Get Paid Doing What You Love to Do! *Kindly open your email and click the links to confirm your email address and to download the eBook. I would like to learn on how to have a vacation and at the same time earning….. Thank you for sharing inspiring quotations and imparting your knowledge about the word of God. You make it so simple for me to understand. Every words you says touches my heart. May you continue to be a blessing to others. God bless you. Indeed, Bro. Bo Sanchez is a real blessing. 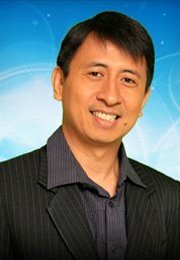 He gives a talk during the PICC Feast every Sunday, 8am-10am and 10:45am-12:45pm. Thanks a lot for this free e-book.Simple yet very informative. i would like to know ho to rarn while in vacation . I enjoyed reading your email to me today. I got surprised when I received your email though, because I already forgot that I registered with you. You know what, I don’t think I ever got your ebook. May I request a copy of your free ebook? I look forward to reading it. Thank you. May God bless your endeavors! Thanks for your comment. I sent you an email together with the eBook. Enjoy! I read your free ebook last night and I am so inspired! I love to write too. Every so often I tell my husband I want to write a book or I wish I can write a book. But after reading your ebook last night, I told myself.. hmmm it can be done. I just have to do it! I like your writing style, very simple and yet interesting. Keep up the good work, Sha. Thanks for your comments. Wow! I’m happy to hear that you were inspired. I still dont receive any e-book from you.. i want to know ways on how to earn while in vacation.. Thanks for your note. I sent you an email. Thanks for the ebook u sent. Its a big help to me. Thank You very mUch.. I want to open a mutual fund but not really familiar how does it work? Can you help me on that. I’m glad you liked the eBook. Re mutual funds, I sent you an email. Thank you for sharing this e-book. It’s quite informative and I learned a lot. More power to you and your blog. God bless! Hi I already subscribed twice but still I haven’t received the free ebook yet. Thanks. hi ! i already signed up and has been rcving updates on Seminar Philippines. Unfortunately, i haven’t rcvd ur e-book yet. can u pls send me a copy? i really want to read ur book. hehe. tnx so much! Thanks for your note. Uh oh… The eBook link should be in the first email that you received from Seminar Philippines. Nevertheless, I’ll email it to you. 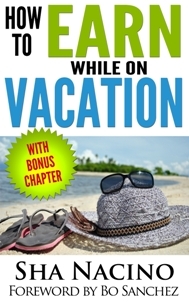 Love your ebook – How To Earn While on Vacation. Thank you for inspiring us to work from home or while on vacation. An eye opener. I’m glad you liked it. Thanks so much for your kind words. I printed it immediately and read it without stopping. hi… I receive updates after subscribing but did not receive the free ebook… Please send me a copy? Thanks and more power. Thank you for your updates and emails especially regarding financial freedom. I have been dying and trying to download your e-book – How to Earn While on Vacation but I haven’t received a copy yet. Please can you send me a copy? Thanks for the e-book. I hope someday I could find the courage to try the internet marketing thing so that I could quit my 8 to 5 (really, it’s 5 to 8!!) so i could have more time for family and finally have a life. I subscribed to your website but I haven’t received the e-book yet.Please send it.Thank you! happy birthday sha! Mine is on the 22nd… More power to you. I wish more young people like you would be financially literate thru your help. 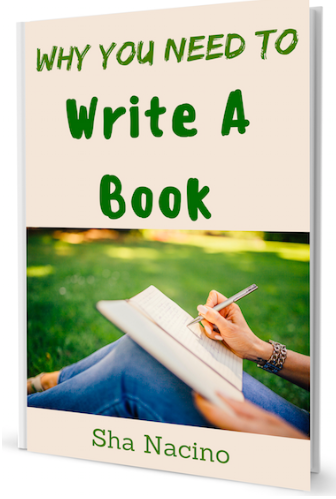 How can I get your ebook.can you please send me a copy. please..please am eager to read youran you pls ebook,,can u please send it to me?Thanks for your passion,,you are helping a lot of people…cheers! It’s so inspiring and uplifting to read an article that is full of mind opening insights. It is a good start for me since I am planning to increase my passive income and now I now how, just by spending my spare time is enough to start something new. I’ve been attending Feast PICC for 1 year and it’s good to hear from someone who is endorsed by Bro. Bo. Thank you! 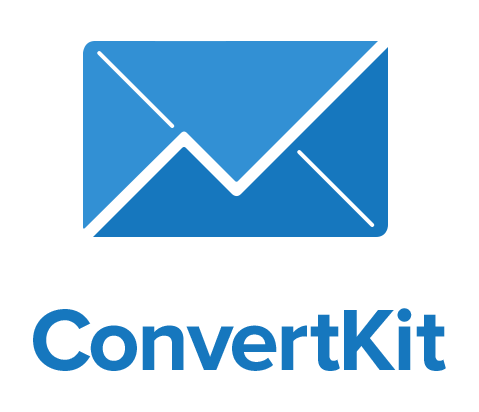 I’m happy to hear that you’re spending time to learn more about passive income. hi ! i already signed up and has been rcving updates from Seminar Philippines. Unfortunately, i haven’t received a copy of the e-book yet. can u pls send me a copy? how can i download the ebook? Hello Ms. Sha, can you send me a copy of your ebook? thank you. I have requested for the free ebook..i hope u can send it to renna.quebec@yahoo.com. 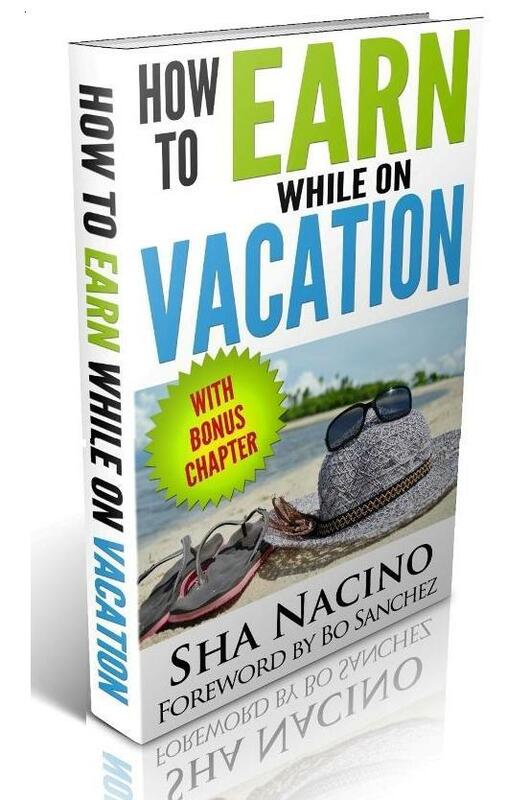 how can I get your free ebook "Earn Money while youre on vacation?" hi..can I ask a fa. I have already read your e-book and it inspires me a lot. Thank you and God bless. I just quit employment and would like to know more ways to earn… I am actually still on discernment period of my real PURPOSE in life. I’ve got passion in writing but had stopped since i got swamped with my work as an accountant..
May I request for the copy of your eBook “How to Earn While On Vacation”. Thank you very much & God bless!!! I’d like to read your ebook. Thanks in advance for emailing it to me. I would like to read your eBook but I can’t find where to fill-up my email address. Hi Sha can i also have a copy of the ebook? can’t seem to find the link where i can enter my email address 🙁 sorry! Hi, can you send me a copy of this ebook, pls? Thank you. 🙂 Keep inspiring people. 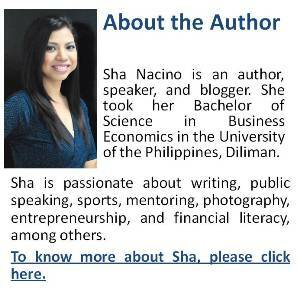 Nice website and very informative, looking forward to meet Ms. Sha again. 🙂 God bless. I would like to learn it. Thank you. a new perspective is always interesting. we learn and get inspiration from others. this may be what I need. THANK YOU IN ADVANCE FOR YOUR FREE E BOOK! GOD BLESS! Thank you in advance for the free ebook! God Bless! Thanks for the free ebook. I also heard your talks during the wealth summits.Thanks for sharing. God bless you always. My daughter attended your seminar last Saturday. I’m also reading your book Money and Me. As you’ve said in your book, “It’s never too late to learn.” Looking forward to lots of learning and be financially free…Thanks for the ebook. Happy to know. Thanks, Ethel! 🙂 Hope to meet you also in one of our future events. hi Ms. Sha! Thank you very much for the free ebook. God bless you on your mission. I hope to do the same soon. Thank you very Ms. Sha for helping re-ignite that small voice within me to inspire other people by sharing my stories through publishing a book. To God be the glory! Thank you so much for the free ebook. You are a blessing to others. May God bless you always. Thank you,so much! I’m learning. I like it! I will share it to my family. Thank you Sha. I’m investing in stocks already. I hope I can start this affiliate marketing soon.